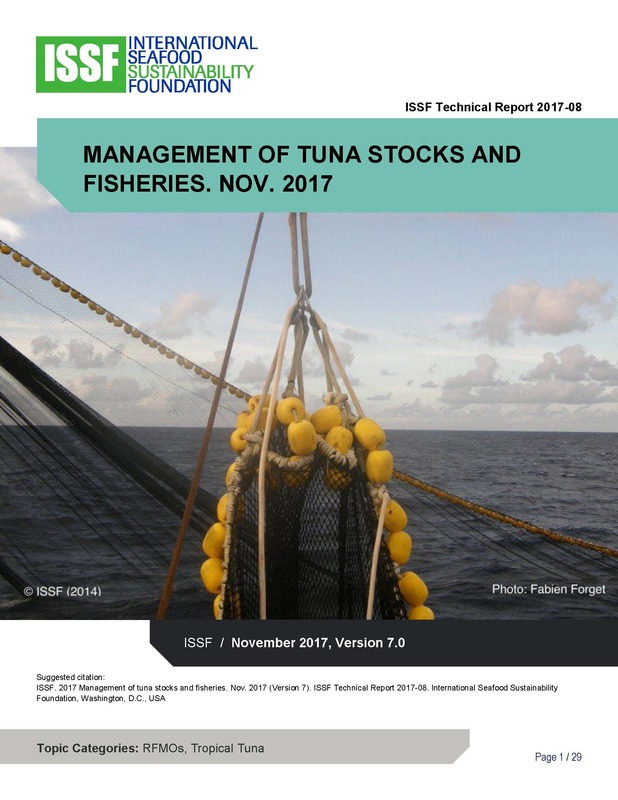 This report summarizes the management frameworks that are in place for tuna stocks and fisheries, with emphasis on intergovernmental arrangements known as Regional Fishery Management Organizations (RFMOs). The document also summarizes the main measures adopted by RFMOs in terms of Monitoring, Control and Surveillance. 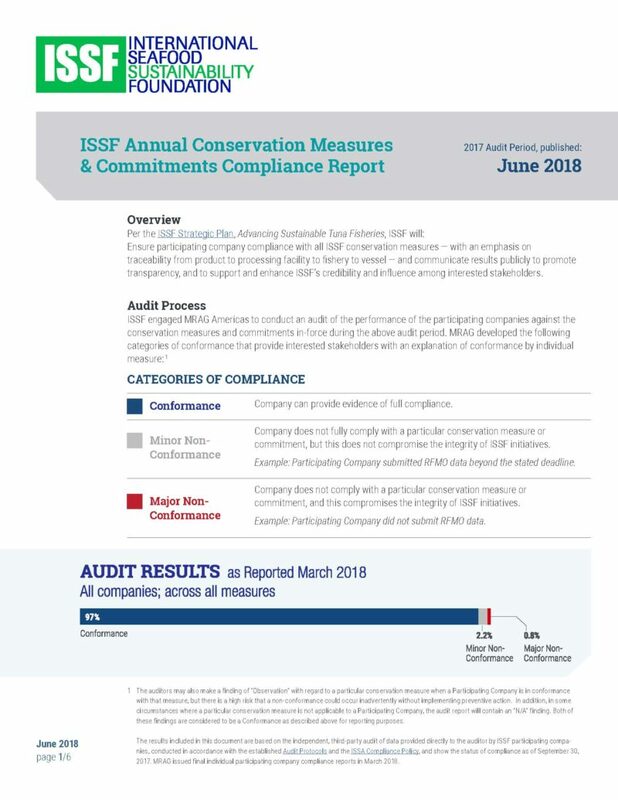 (Summaries of measures adopted by RFMOs for tuna stock conservation and bycatch mitigation are located in the ISSF Tuna Stock Status Update corresponding to each of the stocks (ISSF, 2017)).